Norwegian Cruise Line's Norwegian Gem To Trial Drink Package. Norwegian Cruise Line is testing out an all inclusive drink package. The package is only available on the Norwegian Jade, Norwegian Gem (From New York), and Norwegian Sun. The package starts at $49 per person, per day. All guests in the cabin 21 and over must buy the package. Gratuities are extra. At this point, this is a trial. If sucessful it will be extended to other ships in the fleet. Check with Norwegian Cruise Line for details and availability. Royal Caribbean's New Sunshine Class Ships. 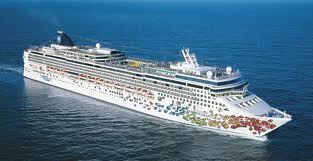 Royal Caribbean has released very few details of the thier new Sunshine Class ships expected to be deliver in late 2014. The 158,00 ton ships are being built at Germany's famous Meyer Werft Shipyard in Papenburg, Germany. The Royal Caribbean Sunshine Class ships will carry 4,100 passengers double occupancy. The Sunshine Class ships will meet the new stringent requirements for low-sulfur fuel emissions which take effect in 2015. Although no itineraries have been announced for the new ships, it is expected that one will replace the Explorer of the Seas sailing our of Bayonne to Bermuda; New England & Canada; Florida & Bahamas; and Caribbean sailings. The Explorer of the Seas is expected to undergo a major refit and be deployed elsewhere within the Royal Caribbean fleet. Carnival Expands Alcohol Package to Additional Ships and Private Island. Carnival Cruise Lines has again expanded its "test" of the Cheers! all-you-can-drink alcohol packages, this time to the private island of Half Moon Cay as well. The Cheers Package - allows up to 15 drink daily from a from a wide selection of wines, beers and spirits, as well as sodas and nonalcoholic frozen cocktails for $42.95 per person/per day, plus 15 percent gratuity. A package MUST be purchased for each (and all) adults sharing a cabin over the age of 21. As part of the package, bottled water is available at a 25 percent discount. Ships included in the program include the: Carnival Glory (Sailing from Boston, New York and Norfolk), Carnival Miracle (Sailing From New York), Carnival Pride (Sailing From Baltimore), and the Carnival Splendor (Sailing From New York) . For additional details and restrictions, please check the Carnival Website. Celebrity today announced that they have joined forces with Billboard to launch a series of innovative, modern luxury musical programs onboard. Based on Billboard’s exclusive charts that track today’s hottest songs and artists, a trivia series, new musically focused game shows and themed parties will offer guests fun and exciting entertainment experiences across the fleet, with a chance to win Billboard prizes. Billboard: The Music Game Show - A “TV-style” interactive game show that tests guests’ knowledge through multiple rounds of music challenges, with the studio audience able to join in the action through an audience response system. Billboard: The Music Trivia Series - Teams participate in trivia contests comprised of questions based on various genres, such as Music Legends, Music in the Media, Decades, Country, British Invasion: Now and Then, ‘70s and ‘80s. Billboard Music Card Prize Giveaway - Guests participating in the trivia series and game shows have the chance to win Billboard music cards, which can be used to redeem music from the billboardmusicpromotions.com website, featuring millions of downloadable songs. Totally ‘80s Theme Party - Currently offered exclusively on Celebrity Reflection, the cast, activities staff and DJ transport guests back to the ‘80s in this fully produced and choreographed party, featuring Billboard Hits of the decade and encouraging dancing all night long. In addition, two lucky Celebrity guests have the chance to win a set of tickets to the 2013 Billboard Music Awards Show in Las Vegas, May 19, through the “Rock the Red Carpet” sweepstakes running from January 7 through April 7, 2013. Each winner will be invited to bring a guest, and will have red carpet access, pre- and post-party access, premium seats at the show, and roundtrip air from a major gateway to Las Vegas for each winner and guest. To enter, click www.celebritycruisesrocktheredcarpetsweeps.com. 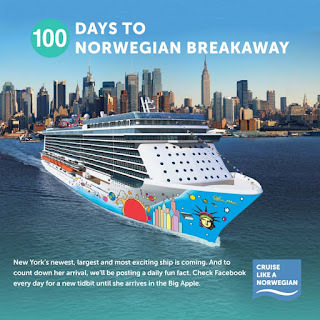 In anticipation of the upcoming launch of Norwegian Breakaway, one of 2013’s hottest new ships, Norwegian Cruise Line is counting down the days until the arrival of the vessel and has launched a global social media campaign featuring the “100 Days to Norwegian Breakaway” countdown on its social properties – Facebook, Twitter, Instagram and Pinterest. Each day, users can share in the excitement of the countdown and enjoy a fun fact about the ship, destination, or of her year-round homeport of New York City. In addition, the company officially announced Norwegian Breakaway’s exclusive inaugural preview events in Europe and New York for travel partners. 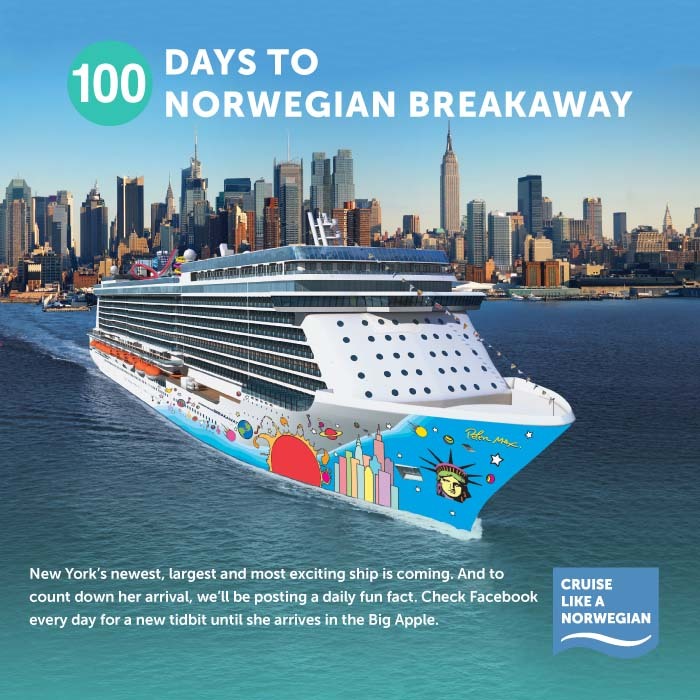 Norwegian Breakaway, also known as “New York’s Ship” for its New York inspired amenities and features, will arrive in Rotterdam, The Netherlands, on April 26 for the start of her European inaugural events and be showcased to Continental European travel partners on a two day cruise. On April 29, travel partners in the UK will be invited onboard for a one-night preview. The ship will depart Southampton on April 30 and embark on her maiden voyage, a seven-day transatlantic crossing to New York City. Vacationers looking to set sail on a once-in-a-lifetime cruise and to be the first to experience the ship first-hand, can still book a stateroom on the transatlantic sailing. The inaugural events will culminate with the ship’s spectacular christening in New York City – Norwegian Breakaway’s year-round homeport – on May 8 followed by a two-night exclusive inaugural cruise. One of New York’s most illustrious and beloved icons, The Rockettes, are set to serve as the ship’s Godmothers. During a second preview sailing over Mother’s Day weekend, May 10 through 12, the ship will host New York-area mothers affected by Hurricane Sandy as part of the line’s participation in the special holiday giveaway episode of Katie Couric’s talk show, Katie. Norwegian Breakaway will begin her weekly summer seven-day cruises to Bermuda on Sunday, May 12 with a special guest onboard, the line’s Chief Executive Officer Kevin Sheehan. As part of their role as Godmothers, two Rockettes will sail aboard the first six sailings of Norwegian Breakaway, beginning May 12, and the first sailing of each month thereafter, taking part in special events for guests to enjoy. Beginning in October, New York’s ship will offer voyages from the heart of Manhattan to the Bahamas & Florida and the Southern Caribbean. Designed as New York’s ship, Norwegian Breakaway will bring the best of NYC to sea when she arrives to her year-round homeport in early May 2013, offering the high-caliber dining and entertainment options that New York is known for worldwide. To date, the company has revealed the ship’s groundbreaking design, including an open-air boardwalk, The Waterfront, and 678 Ocean Place; a wide range of indoor and outdoor venues on three dynamic decks that will create a whole new complex at sea that enhances guests’ connection with the ocean. Norwegian Breakaway’s entertainment will include three Broadway shows: five-time Tony nominated ROCK OF AGES; the dance sensation BURN THE FLOOR; and CIRQUE DREAMS & DINNER JUNGLE FANTASY. The famed comedy troupe The Second City, Howl at the Moon dueling pianos, and New York’s own Slam Allen will perform on the vessel. Norwegian Breakaway will also feature an exciting fireworks show on every cruise that will dazzle guests on the second to last night at sea each week, and will be the grand finale of a decadent 1980s-themed deck party. Celebrity Chef and Food Network star Geoffrey Zakarian will also debut his first restaurant at sea on Norwegian Breakaway: Ocean Blue by Geoffrey Zakarian. 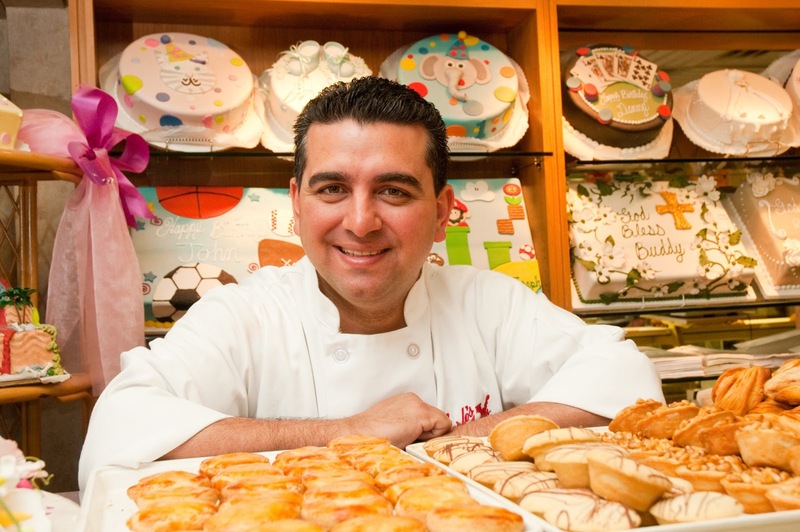 Master Baker Buddy Valastro, star of the popular TLC television series “Cake Boss” and “Next Great Baker,” will open an extension of his family business, Carlo’s Bake Shop, onboard. The ship will feature a total of 28 dining options on board and an Ice Bar, which will be kept at 17 degrees Fahrenheit and feature New York City-inspired specialty cocktails, as well as ice sculptures of the Brooklyn Bridge, Statue of Liberty and the Chrysler Building to pay homage to New York City. Norwegian Cruise Line is launching a DASH Sale today on all sailings of three days or longer, fleet-wide. Guests who book any Norwegian cruise vacation by Friday, January 25, 2013, can receive up to $250 per stateroom to spend on board (based on cruise length and stateroom category), free balcony upgrades as part of the line’s Upgrade Wave sales event, reduced deposits and an e-coupon booklet worth up to $300 in on-board savings. Air credits up to $1000 are also available on select sailings. Vacationers can save on any of Norwegian’s cruise vacations to popular destinations around the world including Alaska, Bahamas & Florida, Bermuda, the Caribbean, Canada & New England, Europe and Hawaii. 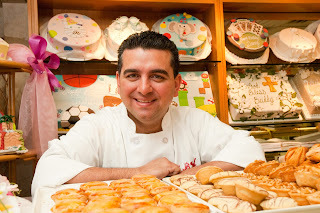 Norwegian Cruise Line announced today that Master Baker Buddy Valastro, star of the popular TLC television series “Cake Boss” and “Next Great Baker,” will open an extension of his family business, Carlo’s Bake Shop, on the new Norwegian Breakaway, coming to New York City in May 2013. Featuring all of the delicious treats and confections that the original bakery is known for, Carlo’s Bake Shop on Norwegian Breakaway will also give guests the opportunity to pre-order custom specialty cakes for celebrations such as birthdays and anniversaries. For a challenging and fun experience, Carlo’s will offer cupcake decorating classes, where guests can learn some of Valastro’s tricks of the trade. Carlo’s Bake Shop will be located on Deck 8 in the former Cakestand location. Featured menu items will include freshly baked cookies, cakes and pies, such as Buddy’s famous Oreo, Dark Chocolate Mousse and Purple Groovy Fondant cakes; Italian butter cookies; biscottis; and an assortment of cupcakes. Luscious chocolate and vanilla cannolis, cream-filled lobster tails, and individual treats such as strawberry cheesecake, chocolate truffle and tiramisu round out the menu. The delectable goodies will be available for purchase à la carte. Buddy Valastro is an accomplished fourth generation baker born into the business owned and operated by his parents since 1910. He grew up in Hoboken, New Jersey in an old-fashioned Italian family. He showed a flair for cake decorating at an early age. For Valastro, 35, mixing eggs, sugar, butter and flour means a lot more than “making a cake.” As a fourth generation baker, it’s a constant source of pleasure, pride and creativity. Creating amazing cakes connects Buddy with the memory of his father Buddy Sr. and his extended Italian family history. His talent and passion for the family business, Carlo’s Bakery, has earned the straight-talking cake expert the moniker, and TLC TV show, Cake Boss. In December 2010, TLC premiered the spin-off series, Cake Boss: Next Great Baker, now in its third season, where Buddy challenged bakers from around the country to compete for a chance to work alongside the Valastro family at Carlo’s. Proven he’s a master when it comes to sweets, in Buddy’s third TLC show, Kitchen Boss, he welcomes viewers into his kitchen to demonstrate he’s just as skilled at savory items, preparing his family favorite Italian recipes. Winter Time Cruising From New York Is In Full Swing. Winter time cruising from New York is in full swing. 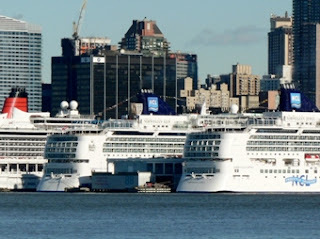 Yesterday 1/18, three ships were docked at the Manhattan Cruise Terminal. Norwegian Cruise Line's Norwegian Jewel, which departed promptly at 5:00 PM, and is sailing on a 2 day cruise to nowhere. The ship is expect to hug the New Jersey coast for the next 2 days and return to New York on Sunday. Cuanrd Line's Queen Victoria which sailed at 9:00 PM on a 97-Day around the world cruise, visiting exotic destinations world wide. It was a cold day in New York but beautifully clear. New York Time Travel Show Now Open! Friday was the press and travel industry day at the New York Times Travel Show at the Jacob Javits Center in New York City. The show was in full swing with travel representatives from around the world present. International Tour operators as well as those represneting domestic travel were on hand. There were musicians and dancers from various counties and tons of literature to read on your fantasy destinations. In addition, there were some food samples and give aways. I really enjoyed the show. Admission is $17. The show is open to the public on Saturday 10 AM to 6 PM and Sunday 10 AM to 4 PM. I recommend you arrive early - especially on Sunday since some vendors may leave early. Also bring a backpack or strong shopping bag(s) to carry home all your treasures. QE2 On the Road to Becoming a Stationary 5-Star Resort. 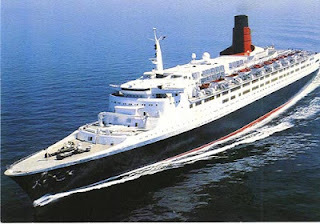 Queen Elizabeth 2 During Her Cruising Career to Become a Floating Resort in the Far East. As reported on the Drydocks World Dubai Website, The Queen Elizabeth 2 is to become a 500 suite, high end hotel in the Far East - Details are below. Dubai, Thursday, January 17, 2013 – QE2 Dubai, has the pleasure to announce that MS Queen Elizabeth 2 Known popularly as (QE2) will be moved today to Drydocks World Dubai for undertaking classification checks prior to her renovation as a luxury floating hotel. Before her retirement to Dubai on 11th November 2008, the QE2 took regular cruises around the world as well as operating a scheduled liner service across the Atlantic Ocean between Southampton in the UK and New York. She carried 2.5 million passengers, sailed nearly six million miles and completed 806 trans-Atlantic crossings during 39 years of service for Cunard. QE2 Dubai has created a large consortium to convert the QE2 into a five-star hotel with 500 rooms managed by a prestigious international hotel as an operator. The Oceanic Group, a group of deeply-experienced advisers to cruise operators and managers in Asia, will take the lead in managing this project while Drydocks World Dubai will carry out extensive technical and operational checks prior to her move into Asia.. The vision for the QE2 is for her to become a landmark cultural and tourist attraction-a beacon of luxury, glamour, quality and tradition - in the heart of a leading Asian city that shares her rich maritime heritage and is prepared to give this very special ship the prominent waterfront home she so richly deserves. The consortium will lavish many millions of dollars on this magnificent ship to restore her to the splendor of her glory days as an icon of the very best the world has to offer. A number of Asian cities have expressed interest in securing this historic attraction. We have firmed up with an international tourist city in the Far East as her first destination. The chosen city shares the passion of the partnership for preserving the history and reputation of this great ship that holds a special place in the collective memory of the many a million passengers that have sailed on her during nearly 40 years of service. The renovations and upgrades planned will respect and safeguard the immense heritage embodied in her fine lines and luxurious fittings. Plans for the upgrading of the QE2 also include a shopping mall with the finest world leading brands, a QE2 Café offering meals similar to those served during cruises, three Michelin-starred restaurants, convention and meeting facilities. There will also be an onboard maritime museum displaying QE2 memorabilia and her rich history, along with a collection of treasures of Dubai.